Clocks go back, accidents go up | What Car? 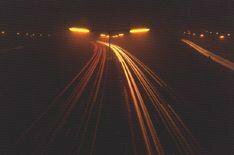 Accident rates are set to make their usual annual increase as the clocks are turned back an hour this Sunday and motorists have to contend with darker evenings. The Royal Society for the Prevention of Accidents (ROSPA) is urging all road users to take extra care, and says motorcyclists, cyclists and pedestrians should wear bright-coloured or fluorescent clothing. Vulnerable road users wearing dark clothing were involved in at least 55 fatal accidents and 237 serious injuries last year, ROSPA said. ROSPA is also making its annual call for a change in the summer- and wintertime system so the UK has an extra hour of evening daylight all year round. The plan would result in clocks staying at the same time through the winter, but still moving forward in the spring. Most recent research suggests the extra evening light would save around 80 lives and prevent 212 serious injuries each year. Even though mornings would be darker, road users are less attentive and at more risk in the evenings. The move is, once again, being put forward in a private member's bill in the House of Commons on December 3, although previous attempts to change the system have been unsuccessful.